Combining the range of boats.com with the depth of NADA Guides will help you pinpoint an ideal selling price for your boat. 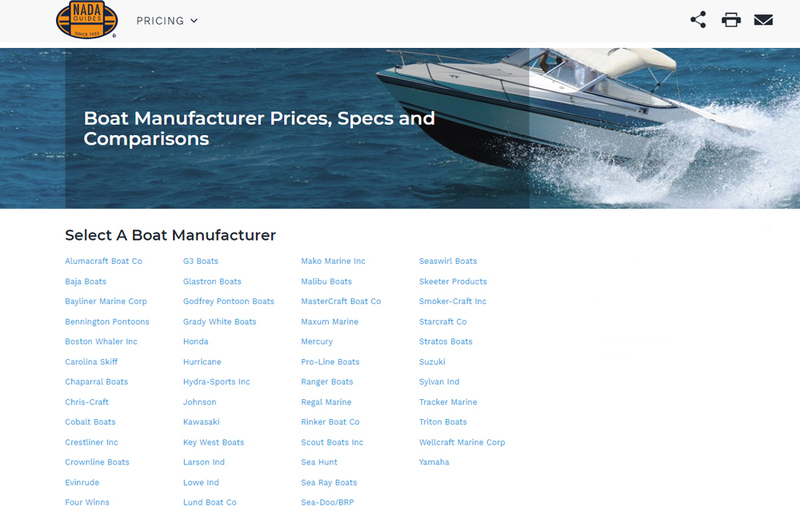 Maybe you’re upgrading or maybe you’re downsizing, but either way, along with the boats.com Boat Buyer's Guide and the Boat Seller's Guide, you’ll probably want to reference the NADA Guides—and Boat Trader's Price Checker Tool, of course. Using these resources you’ll be able to get the most money you can for your boat, while setting an initial asking price that will help it sell within a reasonable time. This can be a tricky balance, but luckily we can help you achieve it. The NADA Guides are a comprehensive vehicle-listing website that publishes blue-book type specifications, research material, and pricing information on boats and personal watercraft as well as other types of vehicles. NADA also provides data to banks, finance companies, insurance companies, and government agencies. Let’s walk through an example of how to use the NADA Guides in concert with the boats.com listing service. 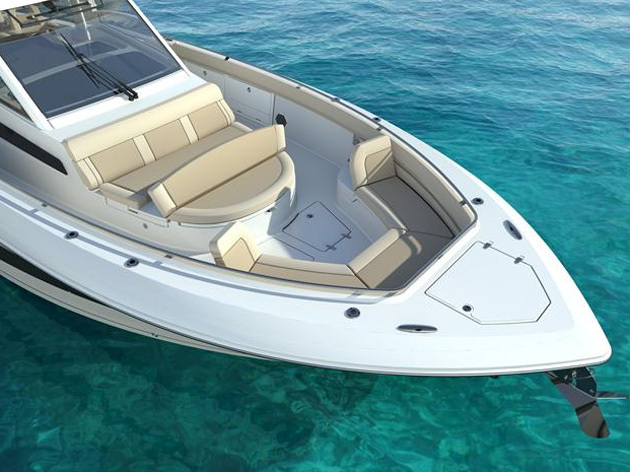 We’ll use a 2015 Grady White Freedom 275 as a sample boat. It’s a popular 27-foot dual console boat set up for single or twin outboards. A NADA Guides search yields an initial page showing the boat’s basic specs. 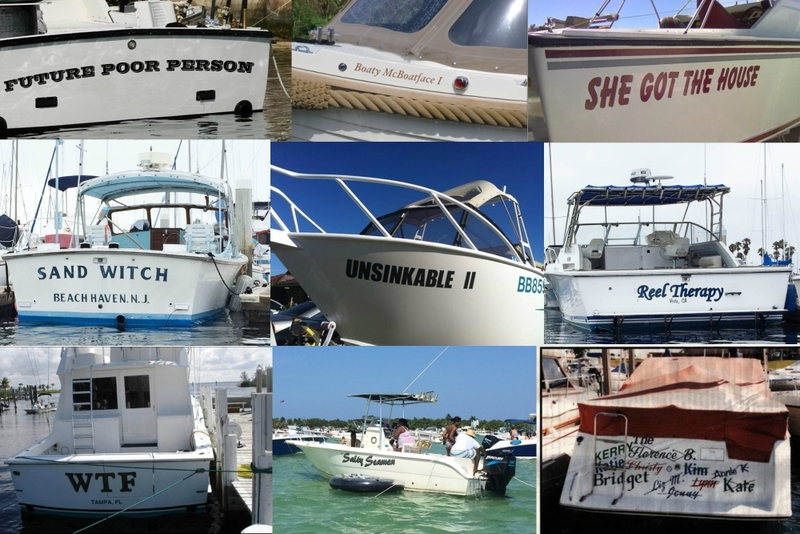 This NADA Guide page is the starting point for discovering boat values. 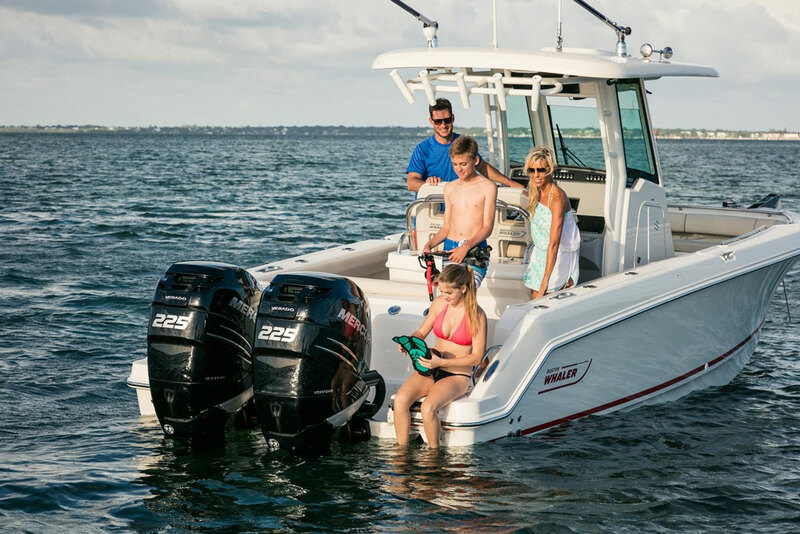 From here you can choose to search for a specific model boat by either browsing the different categories (power boats, sailboats, personal watercraft, outboard motors, and also boat trailers) or by clicking the “Start Here” box. If you know the make and model boat you want to look up this is the way to go. One click, and you’ll be presented with a listing of manufacturers covered by the NADA guides. 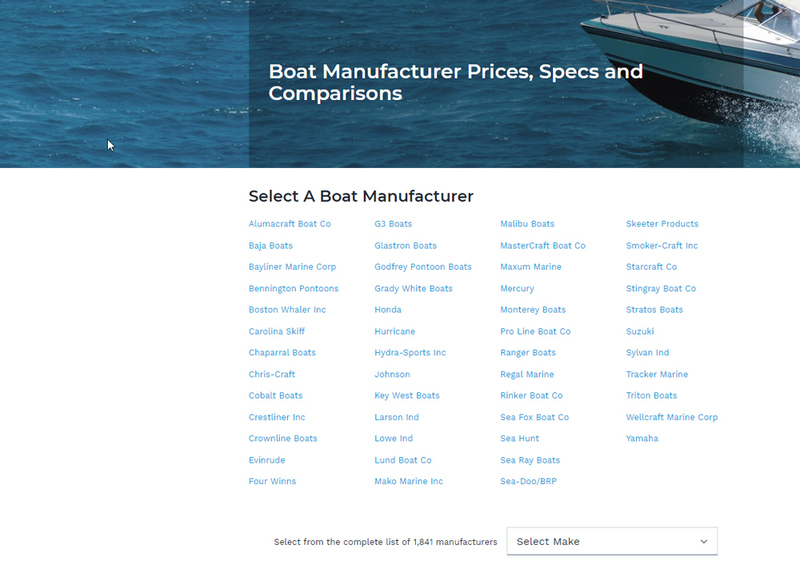 If the make you want to look up doesn’t appear in the initial list of popular boat manufacturers, a drop-down list (lower right) allows you to choose from over 1,800 different manufacturers. After choosing the make—in this case Grady-White—you choose model year, and then scroll down through the list of different Grady-White models. Along with the model name, you’ll see the boat’s length, type, hull construction material, number of engines, horsepower, weight, beam, and fuel type. After finding the model you’re searching for and clicking on it, you’ll be asked to type in your zip code. 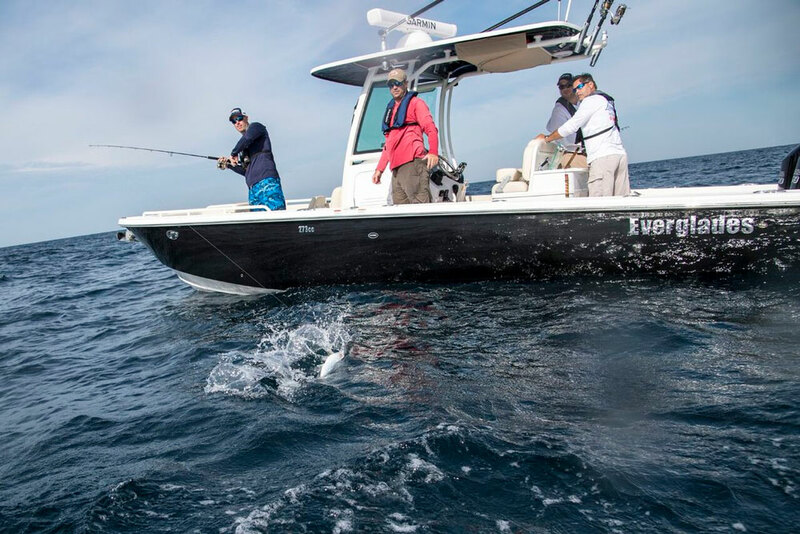 From here, you have a choice to make: you can look at base value, or click on the list of options and identify each that your boat of interest has, to get a more exact valuation. 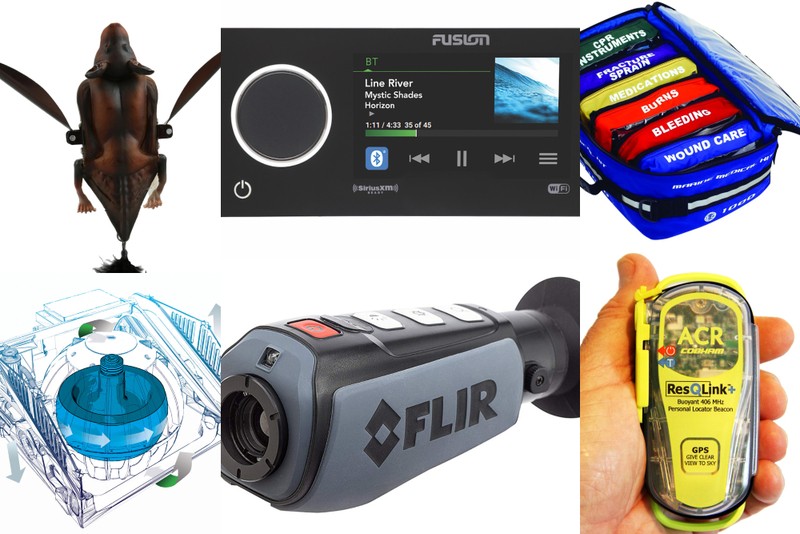 These include things like canvass, electronics, and other items that were optional on the boat when it was built, which may have a significant impact on its NADA Guide book value. The NADA Guides take the value of a wide range of optional equipment into account. Finally, you’ll be asked to choose the size of the motor(s) and whether or not the boat comes with a trailer. Then click on “submit,” and the next screen will give you the information you’ve been searching for: the boat’s NADA book value, split out into suggested list price, low retail value, and average retail value. Success! In a matter of minutes, we’ve looked up the NADA book value of the 2015 Grady-White Freedom 275. You now have the blue book range for the foundation of your pricing decisions. Remember that both sellers and buyers have access to exactly the same information, and will certainly use it to assess the field before anyone makes any offers. There may be good reasons for pricing your boat well outside the range, either high or low, but you should state those reasons right in your listing specs, because you’ll be trying to appeal to potential buyers who have done their homework. How does the blue book range compare with asking prices at boats.com? 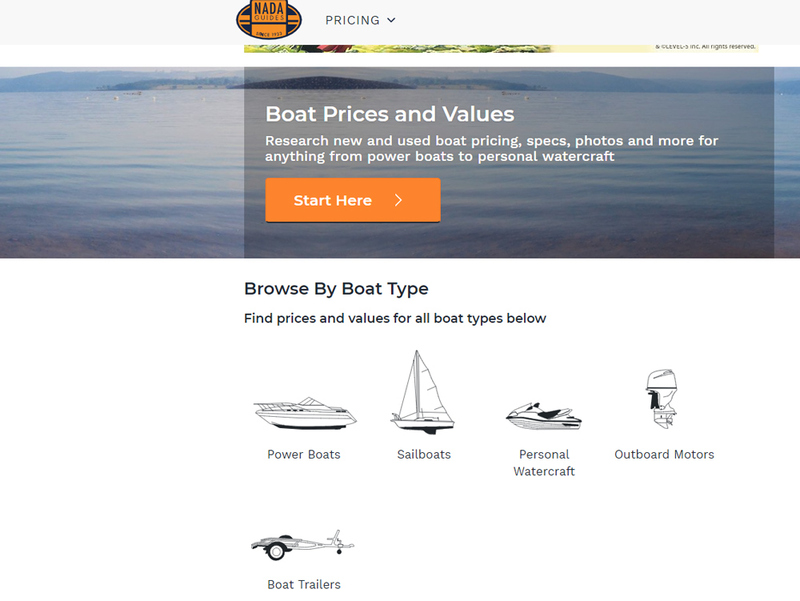 Just go to the boats.com homepage and click on the “Boats for Sale” tab. Then you can search in several different ways. Boat type, make, price, length, year, and location can all be set as parameters. Or, similar to the way the NADA Guides work, you can also search listings by specifying the manufacturer, then choosing the specific model, then adding in filters for details like year, condition, and price. In this case we search for a used Grady White Freedom 275, and (as of this writing) we get six results. One of the six is a 2015 build, and at an asking price of $134,500 the listing is slightly higher than the average retail price we saw on the NADA guides. There are also listing for 2016 boats which are similar or slightly higher in price, and an older 2010 model which costs less than the newer boats yet is substantially higher than the NADA book value for a 275 Freedom of this age ($72,300 average retail). 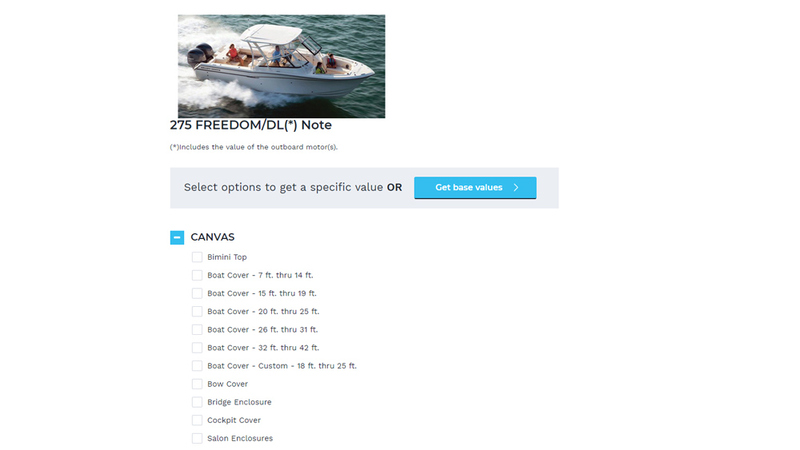 These five listings showed up, when we searched for the Freedom 275 on boats.com. The detective work continues. How are these boats powered, and how many hours are on the engines? What options do they have? What condition are they in? How much are their prices affected by their locations? A listing in New Jersey is the highest we see – possibly a logical margin to set in anticipation of a blue book-based offer? 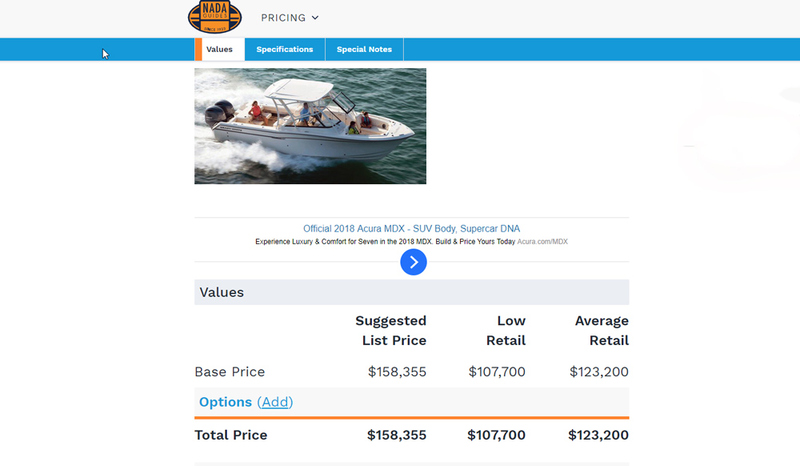 The asking price of the lowest priced boat more than the average blue book price. How can this boat be worth so much more than its siblings? Is this asking price realistic? Could the boat’s condition actually be as good or even better than the condition of some of the newer boats? Without doing your research and comparisons, it can be hard to know. This confirms information from NADA Guides’ Lenny Sims: "Actual dealer sales are a bit higher than the NADA Guides’ median, while private party sales are closer to the NADA Guides’ median. All sales will be based upon each individual unit’s condition and equipment options, therefore it is important to remember that all values are simply a guide. The actual sale price will always be above or below the guide values for a unit. The overall condition, history and local supply and demand contribute to the final asking and selling price of the boat." The data you gather and compare at boats.com, in the NADA Guides, and in your other research will give you a solid grip on the market realities for your specific boat. It’s also a great way to get to know more about boats in general. Good selling, good buying, and fair winds! 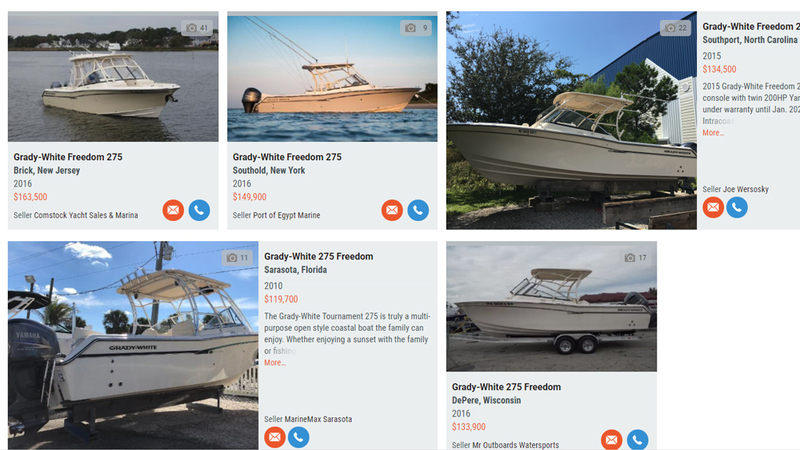 Also see How to Price My Boat For Sale and if you’d like to list your boat on boats.com – which is visited by over 800,000 boat buyers monthly—visit Create a Listing and choose a package. Editor’s Note: This article was published in December 2010 and updated in April of 2018.